Veteran’s Day and Unsung Heroes! This is a Central Florida woman’s recount of why her Dad was an unsung hero in WWII, The Battle of the Bulge. Growing up, we always heard a bit about WWII and a little thing called a Silver Star. Dad died way too early, at 61 in the year of 1980. He never spoke to me about his amazing journey. The Library of Congress has been the recipient of all his personal letters and photos, but the stories remain mine. It is my proud duty to tell this story. Here is the official recount of why he earned a Silver Star, one of the highest honors awarded to military personnel. 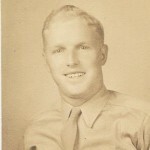 Corporal Albert H. Webber, 196th Field Artillery Battalion, United States Army. For gallantry in action against the enemy on 18 December 1944, in Germany. When a field observation party of the 196th Field Artillery Battalion became surrounded by the enemy during an attack on 18 December 1944, it was decided to defend the post, which was a three story house, and to call for artillery fire on their own position in order to render maximum support to the Infantry. Corporal Webber from Battery A, of the Battalion, who was a member of the party, and his companions, while subjected to their requested and directed artillery fire which blew gaping holes in the building, knocked them down time and time again, relayed radio messages and with their small arms fire inflicted severe casualties upon the enemy as they defended their position. Corporal Webber alternated with another in relaying messages to the second floor radio, which was the only means of communication. After some eight hours of defense from the third floor of the house, Corporal Webber exposed himself many times as he delivered small arms fire to protect approaching relief columns, and to inform them of enemy locations. The gallant courage, devotion to duty and heroic action of Corporal Webber, and his companions, which contributed immeasurably in repulsing the enemy attack, reflects the highest credit upon themselves and upon the traditions of the United States Army. 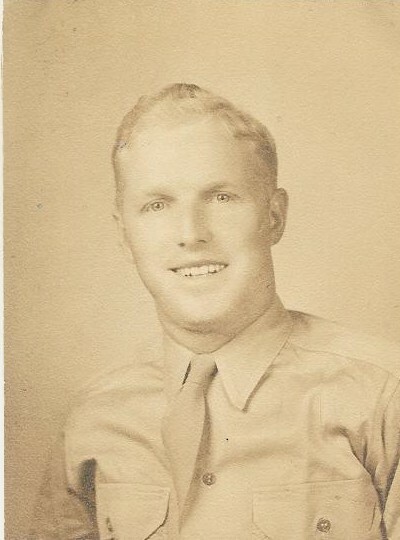 Entered military service from Holden, Massachusetts, 1943.